Keep your house safe with one of our interactive home security systems from anywhere with a 100% wireless security system. Using advanced wireless channels, these systems are tamper-proof. You can also implement emerging technologies like Voice-over Internet Protocol (VoIP) with interactive security products. Imagine how simple it will be to implement family care needs, such as child care and elder care. You will know if your child is in a protected area of the home. You will be alerted when your elderly loved one is mobile. You will be able to control your interactive home security systems from your vacation spot, and know if a protected area has been breached. That’s total control. Monitor potentially hazardous areas in your home. Examples are Pool Gates, Liquor Cabinets, Gun Cabinets, Safes, Entry Doors, Ground-Level and Bedroom Windows, Mailboxes, Closets and more. View system status, monitor sensor activity at your property, arm and disarm the system, set up user codes and even control your lights, all from one user-friendly web interface. Customize your interactive home security systems according to your specific needs. Whether you’re shopping for a non-intrusive senior monitoring package, a flexible family monitoring plan, or an alternative to a phone line-based security system, an interactive security system has just the thing you’re looking for. Keep track of your home while you’re at work or traveling from any computer or smart phone with web access. Arm and disarm the system, control your lights and thermostat, program user codes, and more… from anywhere in the world. Automated e-mail and phone notifications let you know when doors or cabinets open, and when motion activity is detected. Interactive Security systems are a great solution for primary homes and vacation properties. All of our interactive security-enabled systems are built with line-cut-proof wireless signal forwarding technology. Even if the phone-line is cut or damaged (or if there is no phone line at all), alarm signals are transmitted wirelessly and can be forwarded to the central monitoring station. There is no better peace of mind than having total control of your business and its contents, especially if you’re miles away. 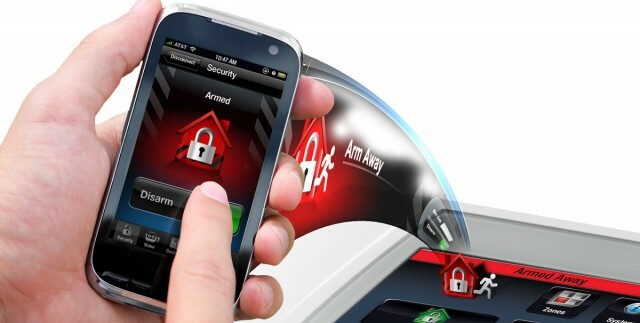 As a popular add-on feature to your security system, an interactive security system is able to instantly notify you when protected areas have been breached, and allows you to access the system remotely through your computer or cell phone. Whether you’re away at home or away on vacation, you can always rest assured that your business and employees are safe with an Interactive Security System. Monitor and control your business security system from anywhere with a 100% wireless security system. Using advanced wireless channels, these systems are tamper-proof. It is also entirely possible to implement emerging technologies like Voice-over Internet Protocol, (VoIP) with interactive security products. Imagine how simple it will be to implement patient care needs. You will know if there is activity going on in your business after the building has been closed. You will be able to control your security system from your vacation spot, and know if a protected area has been breached. That’s total control. Stay informed of all activity in your business, not just alarms. Monitor potentially hazardous areas in your business. Examples are Safes, Entry Doors, Ground-Level Windows, and more. View system status, monitor sensor activity at your property, arm and disarm the system, set up user codes and even control your lights, all from one user-friendly web interface. 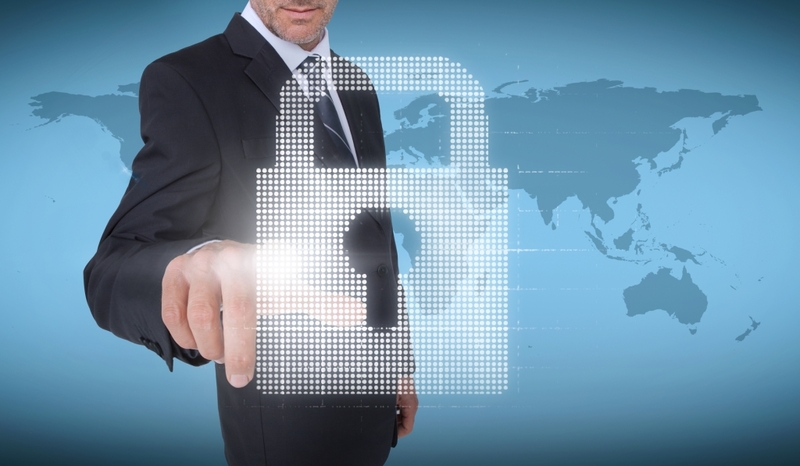 Customize your business security system according to your specific needs. Whether you’re shopping for a non-intrusive senior monitoring package, a flexible business monitoring plan, or an alternative to a phone line-based security system, an interactive security system has just the thing you’re looking for. Keep track of your business while you’re at home or traveling from any computer or smart phone with web access. Arm and disarm the system, control your lights and thermostat, program user codes, control your thermostats & lights while you are away and cut down on energy and more… from anywhere in the world. 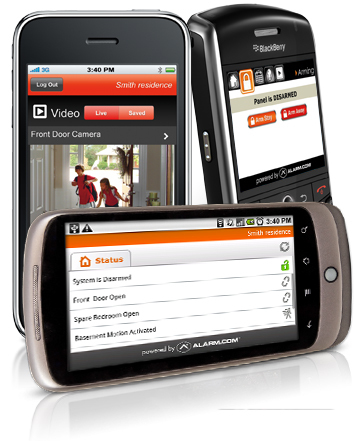 Automated e-mail and phone notifications let you know when doors or cabinets open, and when motion activity is detected.